Product prices and availability are accurate as of 2019-04-22 19:05:52 UTC and are subject to change. Any price and availability information displayed on http://www.amazon.com/ at the time of purchase will apply to the purchase of this product. Now available! Set of 2 Pencil drawing sets: our studio series drawing set with 26 essential sketching tools and a 32-piece Studio series colored Pencil set with premium color pigments that will bring your drawings to life! Retail value: $29.98! 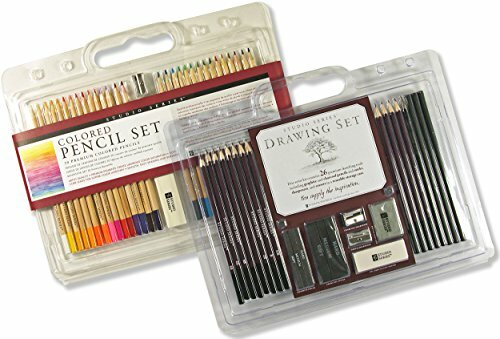 Here are two premium sets for novice and experienced artists alike! 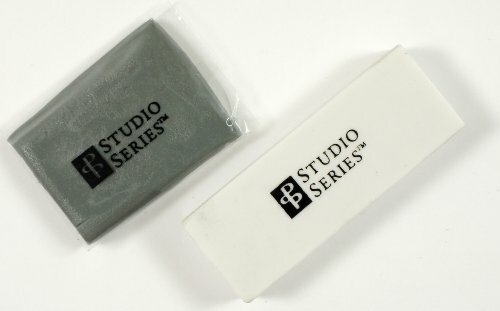 The Studio Series Drawing Set contains 26 essential sketching tools. The Studio Series Colored Pencil Set features 30 colored pencils with quality pigments that will bring your drawings to life! 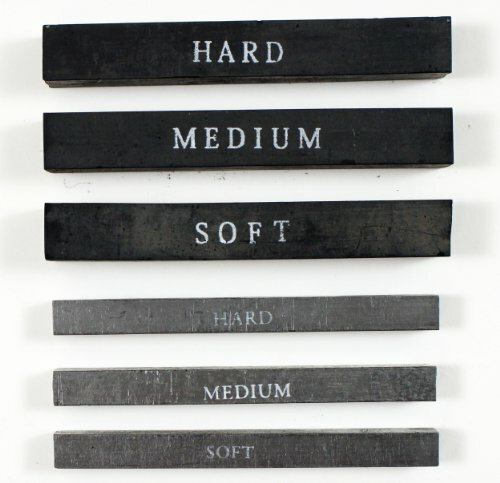 The all-in-one Studio Series Drawing Set contains 12 graphite pencils (5H-8B); 3 charcoal pencils (soft, medium, hard); a soft charcoal sketching pencil; 3 charcoal sticks (soft, medium, hard); and 3 graphite sticks (soft, medium, hard). 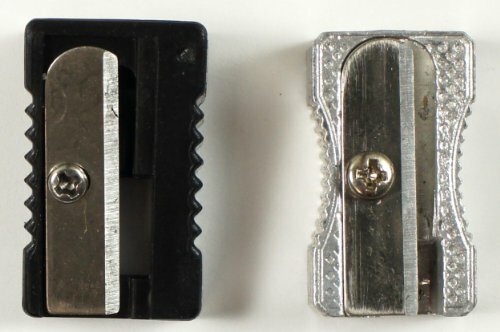 It also includes a sharpener for graphite pencils, a sharpener for charcoal pencils, a kneaded eraser, and a plastic eraser. 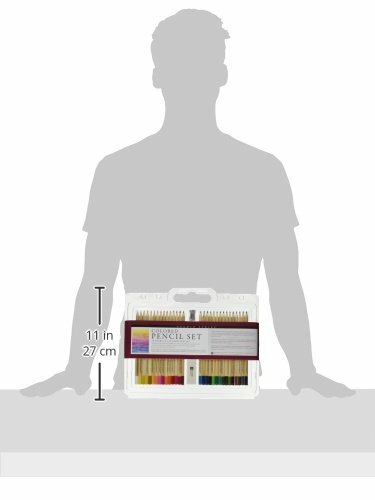 Reusable Drawing Set storage case measures 11-3/4'' wide x 10-1/2'' high x 1/2'' deep. 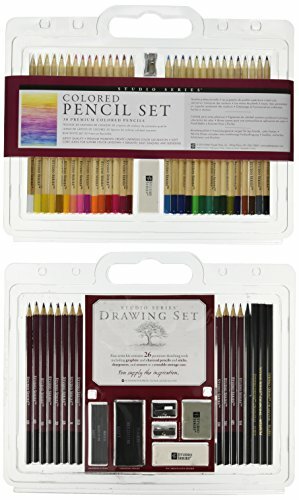 The Studio Series Colored Pencil Set contains 30 pencils in a spectrum of colors. Premium pigments create luminous color saturation. The pencils feature soft-core leads for superb color laydown and smooth and easy shading and blending. The set also includes a sharpener and an eraser, plus basic tips for using colored pencils. Reusable Colored Pencil Set storage case measures 12-9/16'' wide x 10-5/6'' high x 3/8'' deep.